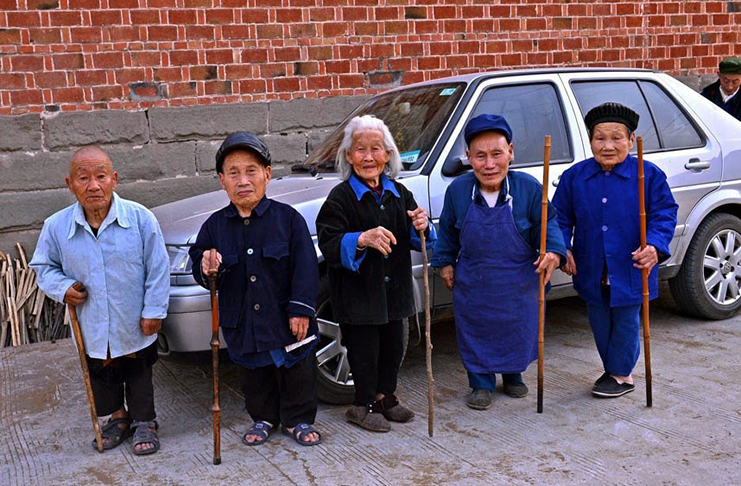 With about 40% of its inhabitants being several heads shorter than an average human being, China’s dwarf village Yangsi has been puzzling scientists for decades. It is situated in southwest China’s Sichuan Province. 36 of the 80 residents are dwarfs – the tallest one is about 3 ft. 10 inches tall and the shortest, 2 ft. 1 inch. There is no proper explanation for this till date but it is definitely not something to be ignored. From testing the inhabitants to testing the grains, soil, and water of the area, scientists have literally tried every possible method to arrive at an answer. According to village elders, their peaceful, happy life was ruined on a summer night many years ago, when a vile disease struck the region. Several locals suffered from a mysterious condition that mainly affected young children between the ages of 5 and 7. These children just stopped growing, remaining at the same height for the rest of their lives. Apart from their inability to grow taller, some of the victims also suffered from various other disabilities. Other theories conjured up by villagers include the Japanese invasion of China which led to the release of various toxic gases. However, the Japanese never reached Yangsi. Some say that it is their ancestors who have brought down this wrath on them because they were not given their much-deserved burial. Others say that the area’s bad feng shui is responsible for the stunted growth. While these reasons are pretty weird, the most bizarre of all explanations is that of the curse of a black turtle. According to the story, a black turtle with strange feet was spotted by a man named Wang. The villagers suffered a dilemma between letting the turtle go and feasting on it. And because of the rebellious taste buds and the cynic mentality, they ended up killing the turtle, roasting it and feasting on it. Villagers now believe that it was the turtle’s curse that laid down the wrath on the children and the future generations. Today, their numbers have shrunk to just 80 but it used to be 119. In 1997, high levels of mercury concentrations in the soil were suspected to be a possible explanation but there was hardly any evidence to support this theory. The Chinese government never denies the existence of the village but no foreigners are allowed to visit it. Throughout the years, several residents have left the region in fear of being affected by the strange condition, but things seem to be improving. While many of the older locals are up to 80 centimeters in height, the new generation seems to be unaffected by the weird dwarfism phenomenon. Till date, it remains an unsolved mystery. Snow White and the Seven Dwarves story fans, are you listening? A recent commerce graduate, Manisha has possessed an affinity for words since she was 8. A writer by day and reader by night, she is immensely passionate about her work. Find her assume other roles of a part-time music and movie buff and full-time foodie. Would You Like To Have This Most Expensive Dosa? The Evolution Of Matrimony: This Is How Far The Humans Have Come Since The Origin Of Marriage! These Fashion and Beauty Trends can cause Lifelong Harm! Heard About Calisthenics? You Must Try it Out! The Forbidden Land Of Agartha: A Myth Or Another Hidden Truth? What Does Your Baby Think About?